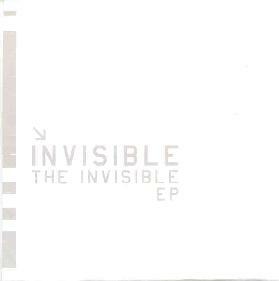 Invisible - "The Invisible EP"
I hunted for the bands web site to find some info about the band. The band are a three piece (Delaney Kelly on drums, bells, glockenspiel and percussion, Greg Larson on Guitars, voice, programming, video and sounds and Zach Okun on guitar, bass, and Wurlitzer. The music is intended to be accompanied by video. My favorite piece on the CD was the untitled track that comes in at the end of the 6th track (10 minutes and few minutes of silence and this track that I like). Anyway, there is quite lush instrumentation and vocals on about 40% of the music. It is all very dramatic and laid back. It takes quite a few listens to delve deep into the music. This CD would have been really brilliant as a multi-media CD with whatever the band uses as visuals for their live shows. A quite special release. For more information you can visit the Invisible web site at: http://www.invisible-music.com.